One of the intriguing things about the Jack the Ripper murders is the number of people who would not be remembered today had it not been for the fact that they found themselves involved in the saga of the Whitechapel Murders. This most certainly applies to the victims, whose names, doubtless, would have been long forgotten were it not for the fact they were murdered by a man whose name we will, most probably, never know for certain. It especially applies to others who played periphery roles – one might almost say walk on parts – in the saga of the most infamous murder spree in history. Such a person is Dr Rees Ralph Llewellyn (1850 to 1921). Llewellyn was the medic who was summoned to the scene of the murder of Mary Nichols in the early hours of the morning of the 31st August 1888. He was roused from his bed by Police Constable Thain and was taken to the site of the murder in Buck’s Row. Here he performed a cursory examination, pronounced life extinct and then ordered that the body be taken to the mortuary where he said that he would make a further examination. Later that day he performed a post mortem examination on the body. And, in a nutshell that is what anybody who performs and internet search for Dr Rees Ralph Llewellyn will glean. No doubt he went on to lead a full and useful life. But, if his names is remembered today it is in connection with his fleeting involvement in the first of the Jack the Ripper murders. That’s what he’s certainly remembered for in the Tower Hamlets Cemetery, where he was laid to rest following his death in 1921. 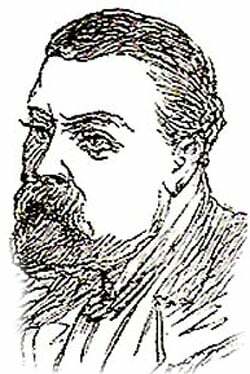 Amongst the “notable burials” he is simply remembered thus, “Dr Rees Ralph Llewellyn – Performed autopsy on Mary Ann Nichols, generally considered the first victim of Jack the Ripper. It is, however, possible to visit his grave, should you so desire; or, to be precise, the grave of the Llewellyn family which he shares with his parents and siblings.. The Grave of Dr Rees Ralph Llewellyn. The Inscription On His Grave. Should you wish to visit his grave, you need to make your way to Mile End Station, which is on the Central, Circle and District Lines. Go left out of the station entrance and turn first left along Eric Street. When you arrive at the Give Way sign, turn left along Hamlets Way and keep ahead to enter the Tower Hamlets Cemetery Park via the main gate. Continue past the lodge on the left and follow the path as it swings right. Just before the green information board, turn left along an earth path. Pass to the left of the large green tree, keep ahead, passing to the right of a further tree. To your left you will see a line of three tall tombs. The third of which is the Llwellyn family grave.